HANK THOMPSON BE MY LIFE’S COMPANION LYRICS"
threads among the gold. Be my life's companion, and you'll never grow old. one wants to be old at 33. Your disposition sours like a lemon on a tree. 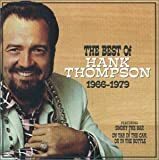 All Hank Thompson - Be My Life’s Companion lyrics are property and © copyright of their respective owners. All Be My Life’s Companion lyrics provided for educational purposes only.